CHICAGO (WLS) -- Navy Pier is offering free Ferris wheel rides to celebrate a major milestone! 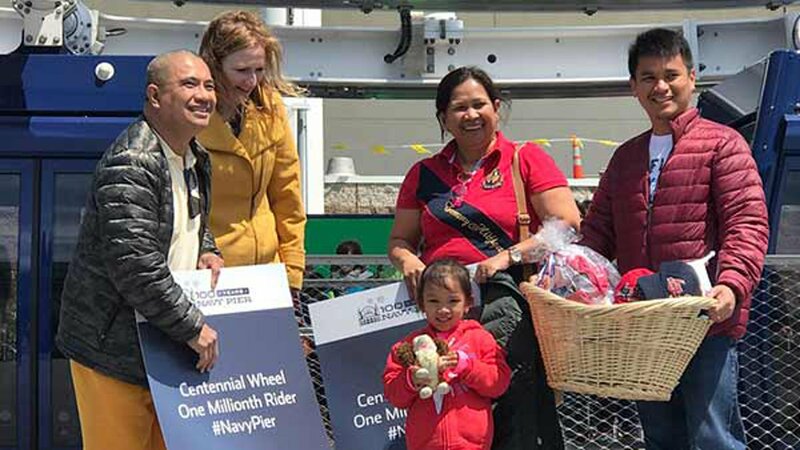 The Centennial Wheel welcomed its 1 millionth rider on Thursday. To mark the occasion, rides on the Centennial Wheel are free from 3 p.m. to 5 p.m.